The Waitiki 7 are not a revivalist group like Don Tiki — which W7 drummer Abe Lagrimas Jr. was a member of before he and longtime friend/fellow Hawaiian Randy Wong co-founded the original Waitiki quartet — but rather an exotica jam band. The septet updates the genre by augmenting the requisite vibraphone with plenty of sax and violin and often employing dead-serious jazz improvisation. The disc begins with a lone bird call by Lopaka Colon, son of Martin Denny percussionist/bird caller Augie Colon. As the other players gradually climb aboard and start taking their solos, their interpretation of Les Baxter’s “Coronation” (from his genre-forming 10-inch 1951 debut, “Le Sacre du Sauvage”) leaves no doubt this tiki train is at full steam and bound for paradise. The vibraphone, piano, trombone and sax solos on “Totem Pole” make it known in no uncertain terms that the band also claims jazz as its forte, in a deft rendition of Lee Morgan’s classic from his 1963 “The Sidewinder” LP. Another of the album’s half-dozen covers is Baxter’s “The Left Arm of Buddha,” originally a two-minute 1956 single. Here it is stretched out to more than four minutes, featuring an animated vibraphone jam and intoxicating violin flourishes. “Ouanalao” is a prime example of the group’s original, modernized exotica. W7 saxophonist Tim Mayer’s composition is part avant garde, part smooth jazz and 100% uptempo, nicely set off by a repeating pattern of three descending, extended violin notes. Classical elements surface on “L’ours Chinois,” a concerto written by musical director/bassist Wong. It begins with a slow solo by Wong’s wife, violinist Helen Liu, but then switches to a traditional Chinese sound before expanding the oriental motif through alternating Quintette du Hot Club de France- and Maurice Ravel-inspired movements. Other in-house compositional contributions include Jim Benoit’s xylophone workout, “Ned’s Redemption,” which would be well-suited as accompaniment to a Keystone Cops reel; and Zaccai Curtis’ piano work on his Latinesque “Craving,” which leaves the listener doing just that for more. The album’s denouement is the title track, an instrumental version of Lionel Newman’s theme to James Michener’s “Adventures in Paradise,” the 1959-62 ABC series about a sea captain who roves the South Pacific on a schooner named (what else?) Tiki III. Arthur Lyman, the Ventures, Henry Mancini and even the Mermen have recorded this amazing song, and W7 are worthy of their company. 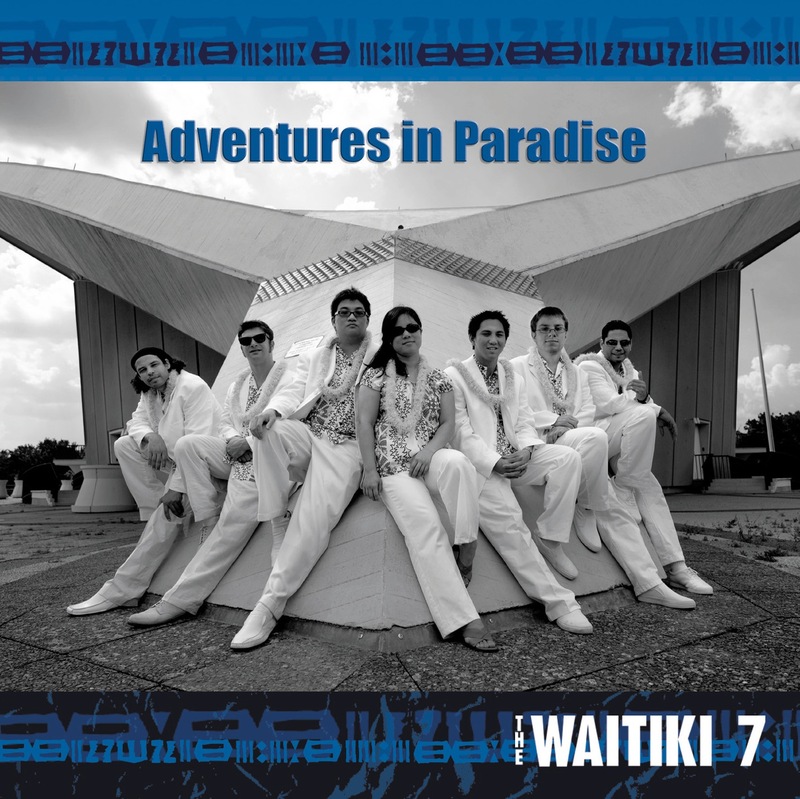 In true jam-band spirit, the website for W7’s parent collective, www.waitiki.com, streams live tracks from last summer’s Wassermusik Festival in Berlin at the House of World Cultures (pictured on “Paradise’s” cover). Here’s hoping it continues to add live tracks as the band tours. Better yet, it could encourage audience taping and allow performances to be posted at archive.org’s Live Music Archive and/or throw fans a bone by posting a soundboard recording to LMA directly.